Pre-manufactured steel pedestrian bridges are so common that I typically avoid them. However this location (over a weir on the Los Gatos Creek Trail) was so picturesque that I couldn't resist taking a photo. 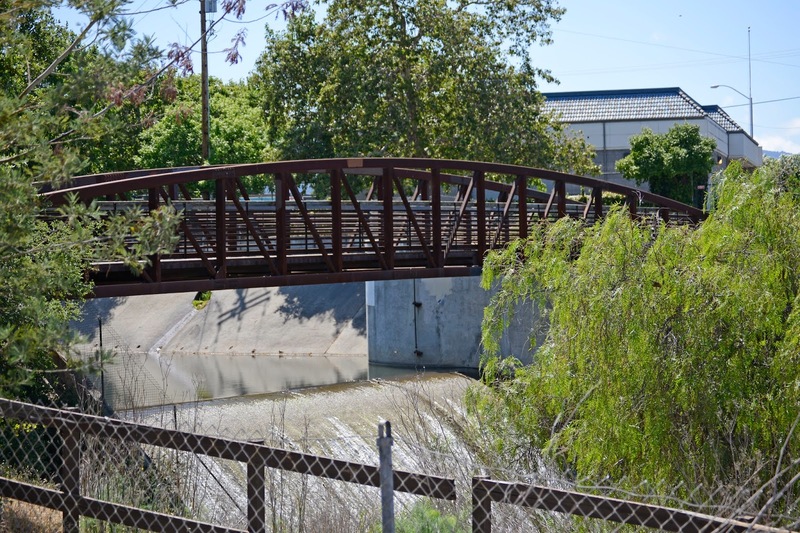 Santa Clara County, California Bridges: Pedestrian Bridge over Los Gatos Creek by Mark Yashinsky is licensed under a Creative Commons Attribution-NonCommercial-NoDerivatives 4.0 International License.